We are deeply committed to the total health and well-being of your child and to the ideas of preventive dentistry. 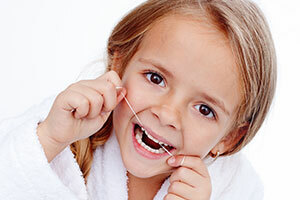 We educate our patients about accurate brushing and flossing techniques and the importance of routine dental check-ups. We believe early education prepares kids for a lifetime of excellent dental health! As the science of dentistry expands through research and development of new methods, materials, and equipment, we stay current through continuing education and investment of time, energy, and funds to maintain a state-of-the-art office. Once your child is finished with their first check-up, we hope they are educated on how to maintain great oral hygiene and are looking forward to their next appointment. Questions? Call us at (718)-894-2110 or Contact Us for more information.